Toronto – Last Tuesday jazz super-group Return to Forever played two intense sets at the Sony Centre. In the 1970’s jazz started to fuse with the rock & roll. Bands like Weather Report and some of Miles Davis’ projects from that era started to blend ideas of improvisation with gut-punching rock beats. 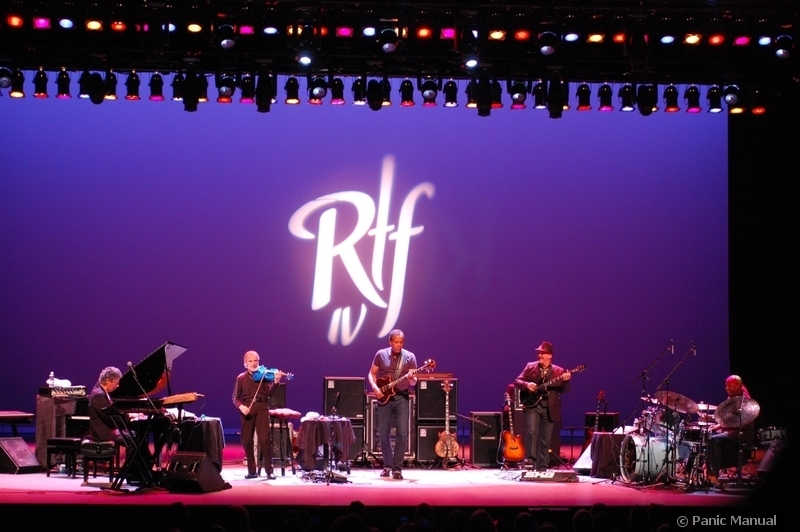 Return to Forever is the last band standing from those days, and they continue to play at the top of their game. Return to Forever is badass. Watching them live is like getting kicked in the nuts. It hurts, but it’s a good kind of hurt. Now not everyone could get behind this jazz rock fusion. To be sure, there were people on both sides of the camp that felt downright alienated with the idea that jazz and rock should slowly run towards each other with arms outspread. At the same time, it was clear that this fusion was attracting the top musicians of the day. Pioneers like Herbie Hancock, Chick Corea, Miles Davis, and Stanley Clarke flocked to the cause. You had only to stop and listen to the musicianship that these artists brought to the table to understand that theirs was a music that was coming from a different musical plane altogether. These guys could rock, and they could do it from a place of such absolute musical mastery that ordinary rockers could not touch. Untouchable: that’s basically how this band sounds. Simply put, Return to Forever is badass. Watching them live is like getting kicked in the nuts. It hurts, but it’s a good kind of hurt. This latest tour includes the addition of Jean-Luc Pointy, who Chick Corea described as “the best jazz violinist on the planet.” Since there aren’t a lot of jazz violinists out there, this kind of sounds like giving someone the prize for being “the best jazz bagpiper on the planet”. This accolade doesn’t do Jean-Luc credit; he blended with the rest of the group seamlessly, is a musical tour-de-force in his own right, and added a refreshing variant to the RTF sound. Kind of jealous that you saw this. I do want to point out though, that jazz violin is not that uncommon. Stephane Grapelli comes to mind, but he’s dead,so I guess he’s out of the running for best jazz violinist on the planet. Also, how exactly is getting kicked in the nuts ever a good kind of hurt? Best jazz bagpiper on the planet?